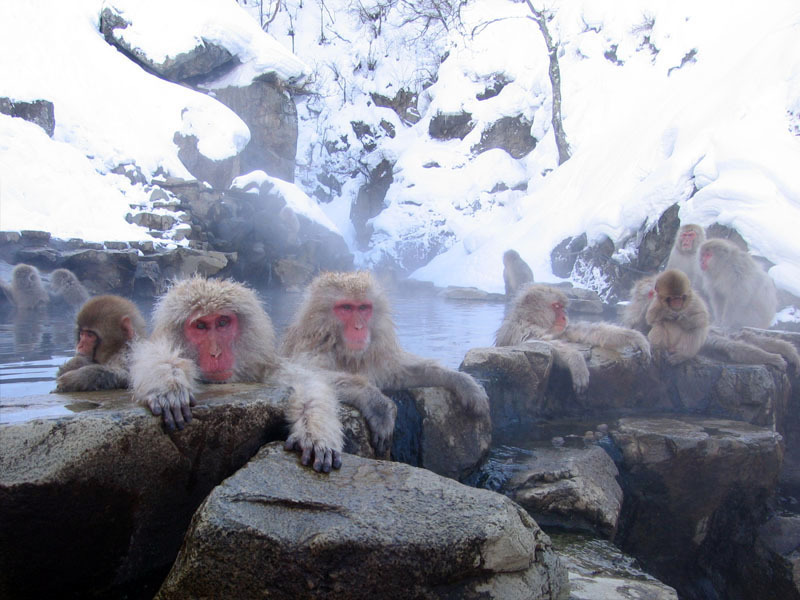 Jigokudani Monkey Park (Jigokudani Yaen Koen) is in Yamanouchi, Shimotakai District, Nagano Prefecture, Japan. 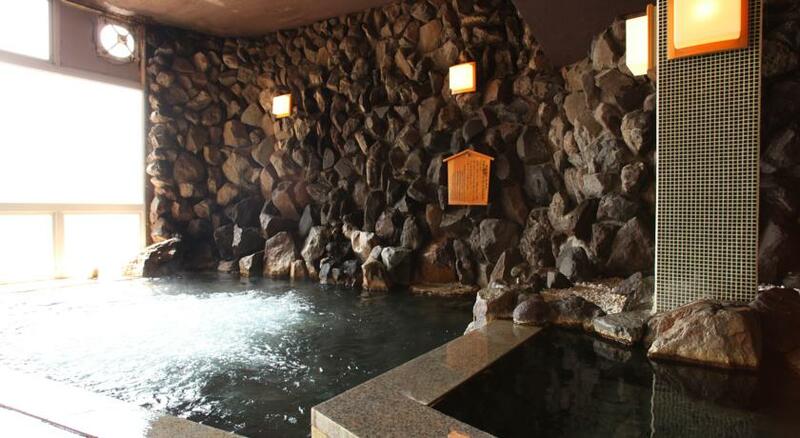 It is part of the Joshinetsu Kogen National Park (locally known as Shigakogen), and is located in the valley of the Yokoyu-River, in the northern part of the prefecture. The name Jigokudani, meaning “Hell’s Valley”, is due to the steam and boiling water that bubbles out of small crevices in the frozen ground, surrounded by steep cliffs and formidably cold and hostile forests. 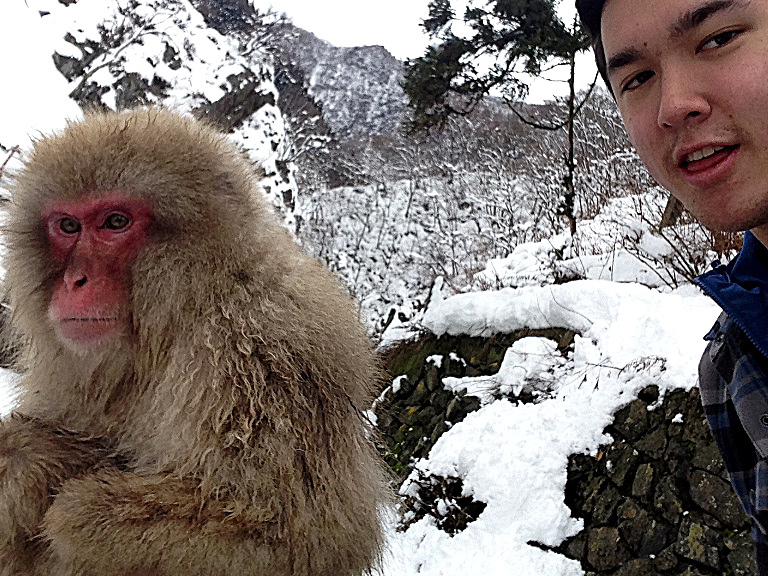 Today we ventured into the cold and hostile forests above Nagano to visit the legendary snow monkeys. The monkeys aren’t friendly or unfriendly. They don’t approach you but they don’t try to stay away from you either. They might sit still for a selfie but they won’t smile. 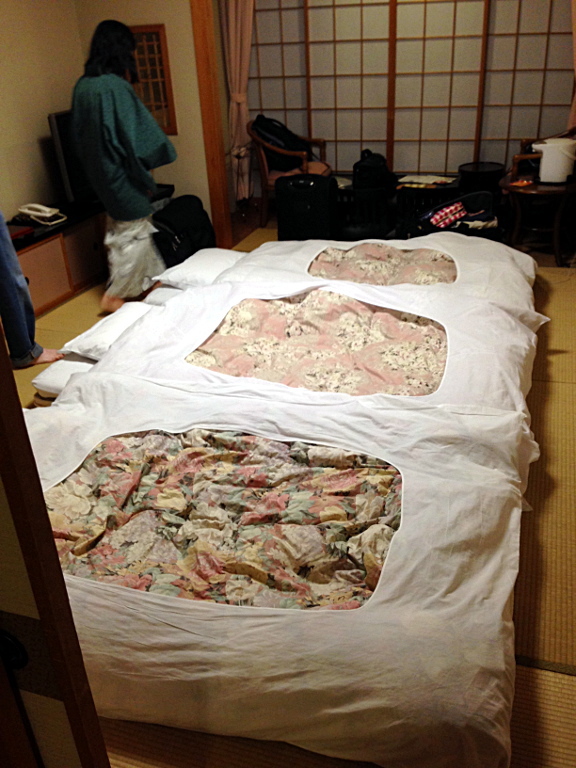 We stayed the night at a ryokan (bed and breakfast) in nearby Yudanaka Onsen, a hot spring resort, where we enjoyed traditional accomodations, including a multi-course Japanese dinner and sleeping on the floor (on tatami mats and futons). Our room didn’t have beds but it did have a flat-screen TV. 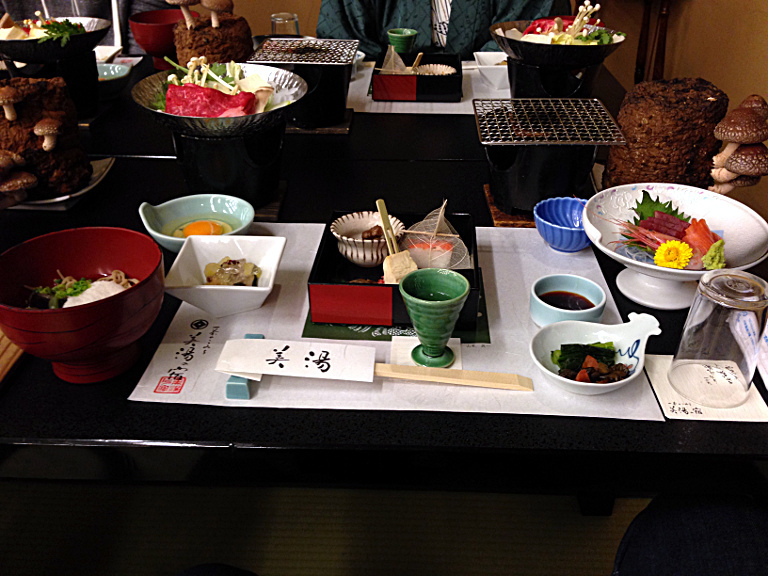 There’s a limit to how much deprivation up with which a traveler is willing to put.